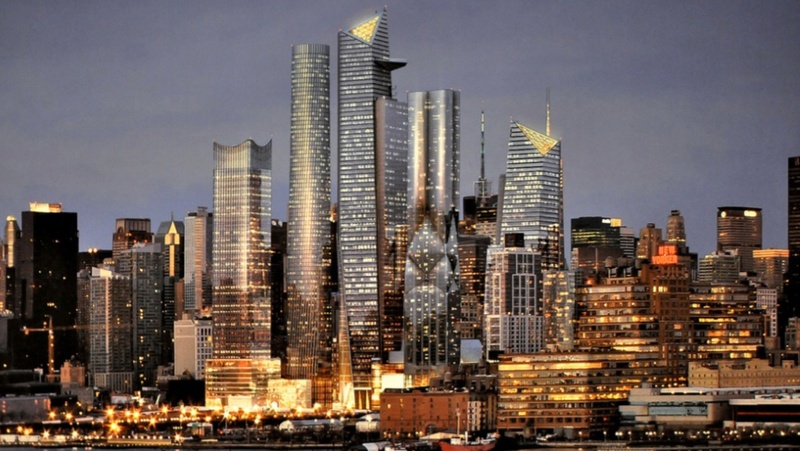 At the end of last year, we learned that 30 Hudson Yards, the 92-story tower that’s part of the west side mega-development, would offer a death-defying observation deck. 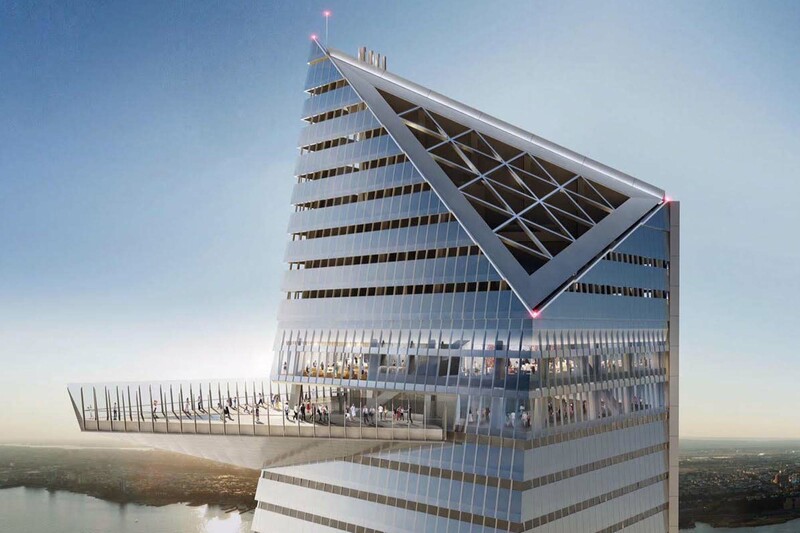 Initial reports said that a tilting glass walkway would jut out of the building around 1,000 feet, but a new report from the Post confirms that the actual height will be 1,100 feet. 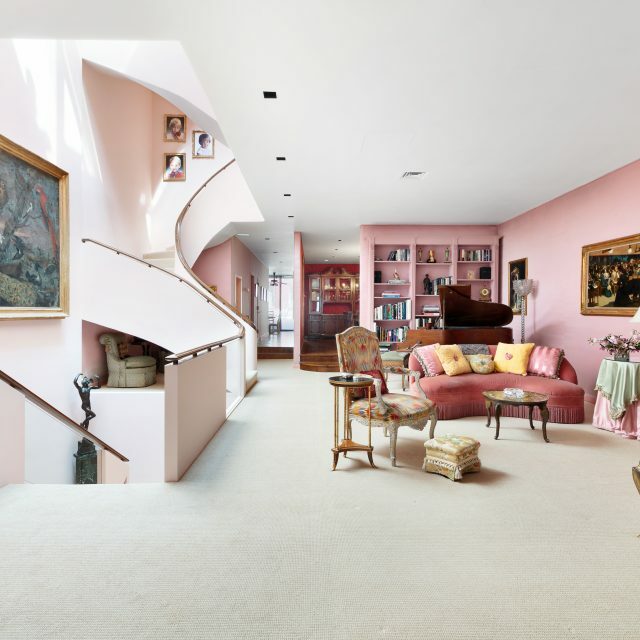 This puts it 50 feet higher than the Empire State Building’s 86th-floor outdoor observation deck, making it the highest in the city. The paper also has a shiny new rendering of the deck, which will span more than 5,000 square feet and boast 360-degree views. Observation decks are becoming almost a necessity at the city’s newest, tallest, and flashiest skyscrapers. For months, New Yorkers were following updates about One World Trade Center’s observatory and its views from 1,250 feet in the air, and the forthcoming One Vanderbilt tower may offer a deck even higher than this (though these decks are higher than those at 30 Hudson yards and the Empire State Building, they are not outdoors). The trend spreads nationally, too. At the Shanghai Tower in China, for example, the observation deck sits higher than 1,800 feet. How Does the One WTC Observatory Stack Up Against the World’s Highest Tourist Spots? 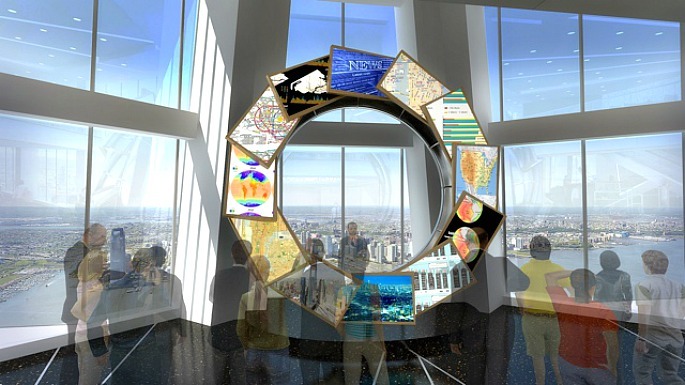 The One World Trade Center Observatory Officially Opens Today!